Created in 1825 following the acquisition of the cabinet of curiosity of Vicomte Isidore Leroy de Barde, first painter of natural history of King Louis XVIII, the museum of Boulogne sur Mer keeps rich and varied collections. This diversity is explained in particular by the geographical situation of the city, at the seaside. Many Boulonnais travelers left to discover the world and offered to the museum, on their return, the collected objects.Scholars of Boulogne origins, such as Ernest Hamy, founder of the Trocadero Museum in Paris, were also keen to enrich the museum of their hometown. In 2013, the Museum celebrates 25 years of installation in the counting castle of Boulogne sur Mer, the perfect opportunity to renew the presentation of its permanent collections. In order to offer visitors a better presentation of its collections, the museum offers a completely redesigned circuit and a presentation in four major departments. 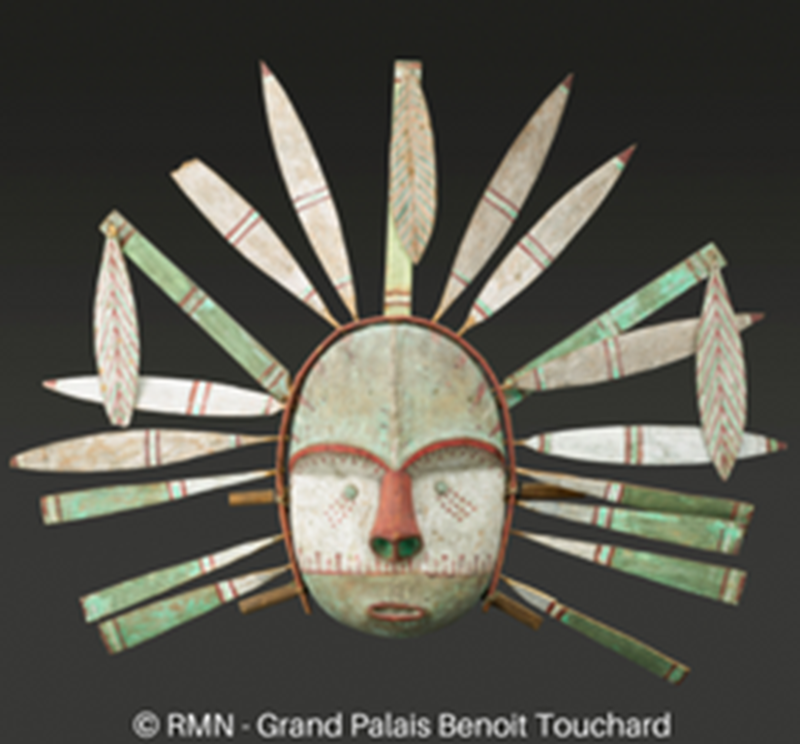 With this new presentation and an approach focused on contemporary Aboriginal cultures, the Boulogne sur Mer museum encourages visitors to travel from one culture to the other! The Department of Mediterranean Archeology presents the Egyptian collection with its sarcophagi and its mummy of a stranger from the Late Era which inspired to Auguste Mariette his vocation of Egyptologist. Present from the initial collection of the museum, the Egyptian collection was gradually enriched by donations from individuals and a large deposit of the Louvre. It focuses primarily on funeral rites and religious beliefs. The department also includes the collection of Greek ceramics consisting of nearly 450 major quality pieces such as the "Suicide of Ajax", the centerpiece of the collection attributed to Exékias and dating from 530 BC. In addition to the finesse of the drawing and details, this amphora presents an unpublished iconography of the death of the hero. The peculiarity of the collection also resides in the set gathered around the figure of Héraclès thanks to the acquisition in 1862 of the collection of Charles Louis Fleury Panckoucke. An antique enthusiast, he had made a set of more than 400 ceramics. Although incomplete, this series presents a large part of the mythical episodes of the Greek hero. The non-European ethnography department invites the visitor to a trip around the world from pre-Columbian America and its funerary ceramics to Oceania, via Africa. The exceptional wealth of this department is the presentation of the collection of objects from Alaska that brings together a unique set of ceremonial ceremonial monsters sugpiat from the island of kodiak. This collection unique in the world was brought back by the young Alphonse Pinart in 1872. Two major collections stand out from this collection, on the one hand the series of funeral masks in driftwood from the Aleutian Islands and whose exact meaning still eludes us; on the other hand, all 70 Kodiak archipelago sugpiat masks used during ceremonies related to the spirit world, the Winter Festivals. These masks, long enigmatic remains, reveal little by little their secrets thanks to the partnership that the museum maintains since 2006 with the museum of Kodiak.Through this work, the museum also presents a collection of contemporary art sugpiaq, witness of this partnership and the impact of the Boulogne's collection on contemporary Native artists of Alaska. 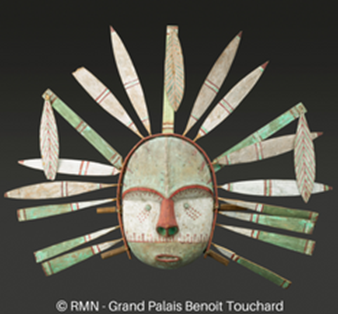 The non-European ethnography department also keeps one of the most important collections of Oceania in northern France. Constituted for the majority during the 19th century, it is essentially made up of weapons. However, there are some statuettes of ancestors, objects of daily life or ceremonial, as well as some rarer pieces, such as the Tapuanu mask of the Mortlock Islands donated by Alphonse Pinart.A series of objects from Geelvink Bay in New Guinea is particularly exceptional as well as a very beautiful statue of the Marquesas Islands depicting a Tiki and a model of Maori warship dugout collected by the ship l'Astrolabe in 1827 during the mission commissioned by Dumont d'Urville. The department of local history recalls the rich heritage and history of the city and its surroundings, from the ancient Bononia and its Gallo-Roman treasures, through the medieval statuary, to the Napoleonic epic and the famous camp of Boulogne. The museum's collections of local archeology, largely from 19th-century excavations, illustrate the remains of the city's ancient Roman and medieval past. In 1926, the archaeologist and medievalist Camille Enlart donated more than 1000 pieces of his personal collection of medieval and Renaissance objects to the museum. The presentation of the sculptures and fragments of architecture testifies to the artistic creation of the north of France and in particular of Boulogne and the churches of the region. The department also evokes the episode of the Napoleonic presence on the Opal Coast and the project of invasion of England by Napoleon, as well as the ceremony of April 16, 1804 of the delivery of the Legion of Honor. A set of English caricatures offering a counterpoint to this historical episode. The Fine Arts Department allows visitors to follow the evolution of painting from the 15th to the 20th century. Note, the Virgin and Child of the master of San Miniato or the Labancherchant his Flemish idols Pieter Lastman, master of Rembrandt.The department also offers a large collection of French paintings and sculptures from the 19th century, mainly made up of the collection that Charles Lebeau bequeathed to the museum in 1916, gathering names as illustrious asCourbet, Corot, Boudin, Sisley, Rodin, Carpeaux or Gallé, as well as a collection of works by artists from the Opal Coast, illustrating the rich local production in the 19th century. Through the works of VirginieDemont-Breton, Auguste Delacroix or Jean-Charles Cazin, we discover the life, the picturesque and the traditions of the Pas-de-Calais. Finally, the section ends with the presentation of a set of paintings given, in 2008, by the abstract artist of Boulogne origin, Georges Mathieu. The works exhibited at the museum attest to the evolution of the painter's art between the 1950s and the 1990s.We find there the speed of the gesture, the importance of the sign reminiscent of Chinese calligraphy, or the tasks of colors, splashes and projections of paint from the "tachisme". Closed on December 25, January 1 and the annual closing from January 1 to 07, 2018, reopening on January 08 in the morning. It is at the heart of a medieval wall, which former comtal castle, erected on the remains of the Roman ramparts, invites you to discover its Gallo-Roman underground, the Barbière room and the chapel. Erected at the same time as the ramparts, the Count's castle is the centerpiece of the medieval defense system. It is the first castle built without a keep in the history of military architecture. Today, the moats are partially re-watered and the drawbridge has been returned. Inside, the most remarkable rooms are located in the lower part: chapel, hall count, underground. Not to be missed, the magnificent Gothic hall of la Barbière, adjoining the old prison. Since 1987, it houses the museum which has the originality of presenting the only generalist collections as varied from the north of Paris. The visitor can cross epochs and cultures, from ancient Egypt (collections that belonged to the famous Egyptologist native of Boulogne: Auguste Mariette), through Greece, Oceania, Africa, local archeology , medieval Europe, the arts of the late nineteenth century (painting, sculpture). In the meantime, the visitor will have been able to meet the jewels of the collections:the globally studied Ajax Suicide Amphora and the outstanding collection of Sugpiat masks, a unique example of Alaska's artistic heritage in the 19th century.